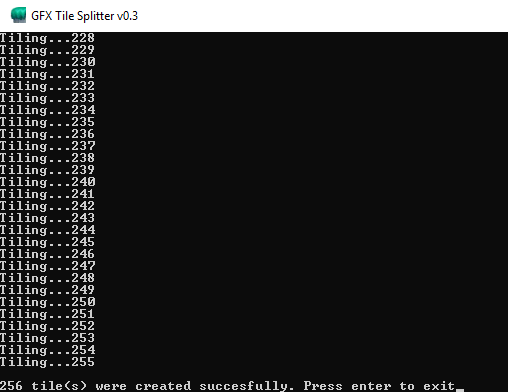 The NSMB Hacking Domain » Introducing GFX Tile Splitter! Ever needed a way to split tiles quickly? 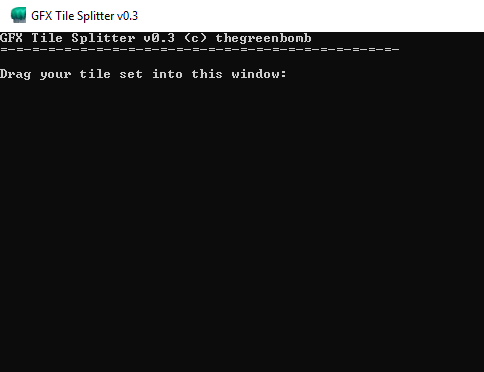 Introducing GFX Tile Splitter! 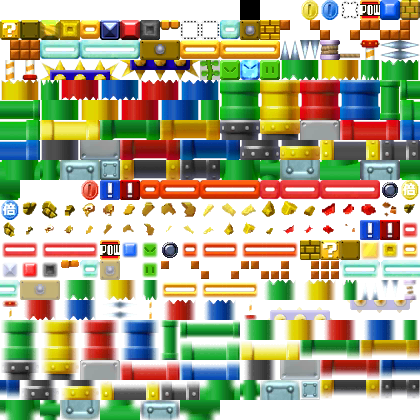 With a selectable tile size, you can upload any tile set from any Mario game with ease. This was written in python by none other than yours truly. This is an incredibly useful tool, at least for me when working on MvsL CR tilesets. IMPORTANT: Make sure your tile set picture doesn't contain spaces in the name! Also note that you input ONE dimension, ex. 16, not 16x16. I, uh, fail to see the use for this, tbh. For easy disassembly of tile sets in case you wanted a mash-up or whatever. in those cases I just open all the tile sets I need in seperate tabs in paint.net, make a new 256x176 image and copy paste whatever tiles I need into it. If anything it seems like it would be slower to do it with this. In fact the whole reason I wrote this was to make the paint.net process like tile selection faster. Ah well, it seems faster to me. Every time I run the program, it ends up crashing, which means that I screwed up somewhere. I think that it's the step where I enter in the folder name to save the images into. I'm confused as to whether I should have a folder ready before I run the program, or if the program will create a folder for me. 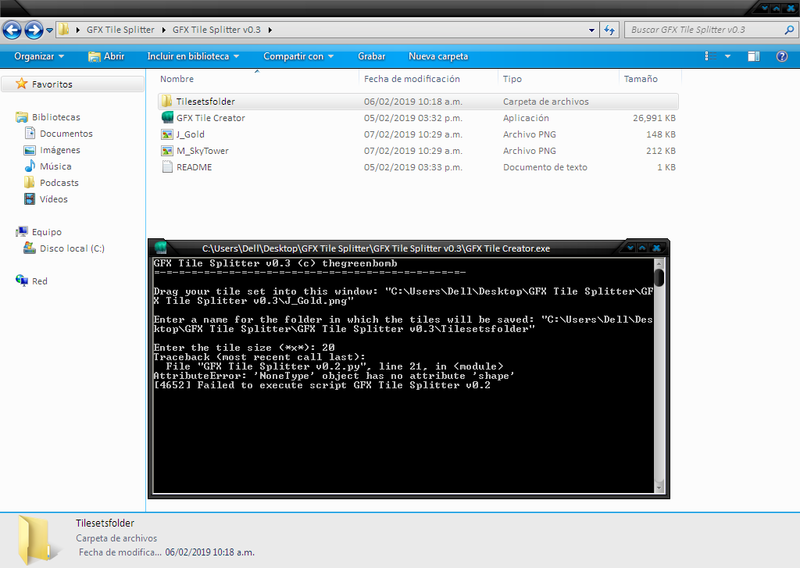 I'm also confused as to whether I should drag the folder into the program, adding the filepath for the folder, or whether I should simply type the name of the folder. I hope that I'm not being too much of an idiot. It does NOT have to exist. It creates one for you in the same location of the program. Just type a name in. 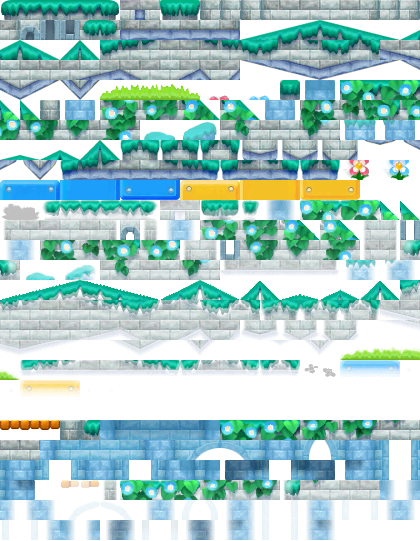 that's neat, but I also fail to see the need to fragment tilesets. no matter what game you insert them in, you're not gonna import them in one by one. in your example, you fragmented 20x20 tiles into 16x16 ones. I take it you can specify tile size input and output? you need to specify these things, if the entire usage of the tool depends on that. this is for unoriginal derpos!!!! the input and output shown up there seem to be different things. the output contains tiles that aren't present in the input. also, as said, doing things this way sounds unnecessarily tedious to me. but if there are folks who prefer it this way, well, let them have it. oop, I seemed to have put the wrong image for the output, that was from a different thing. You specify output. The more I look at it tho, I do see how this isn’t has useful as I imagined, but I at least thought it was less tedious. seems like it would be helpful to me, being able to edit tiles independently of the rest (and not having to find where new tiles start in a row of connected tiles. I'm still having problems, so I made a video of what happens when I run the program. I hope this helps. Yea, it can't have spaces in the file name, my bad. Also, its just one dimension, not 20x20. Thanks for your help! I finally got it to work! Yea, it can't have spaces in the file name, my bad. theen.. don't put spaces in the name of the app's archive? that seems to be the issue for the above poster. Luigui3060, try removing all the spaces within the path to your image file, or move it to a parent directory on your disk. EDIT: From here on out, just look at the updated README.